Want to look the part, without parting with a small fortune? 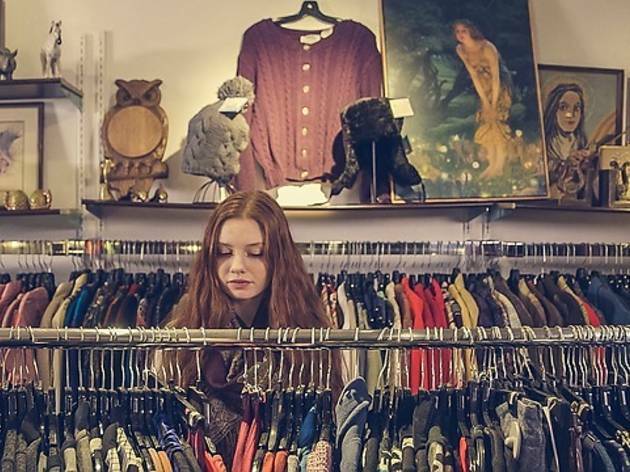 Our selection of cheap shops and discount stores offer great fashion at knockdown prices. They'll have you looking chic and fabulous in no time at all. Fashionistas head to the ‘five legged sheep’ (named after Henri Verneuil’s 1954 film ‘Le Mouton à cinq pattes’) for designer vintage and last season’s collections in mint condition: Vittadini, Buscat, Donn Adriana, Chanel, Jean Paul Gaultier, Jérôme L'Huillier, Alberta Ferreti, Moschino, Liu Jo and numerous other labels. Turnover is fast, so this is no place for an indecision crisis. Labels are sometimes cut out too, so make sure you know what you’re buying. 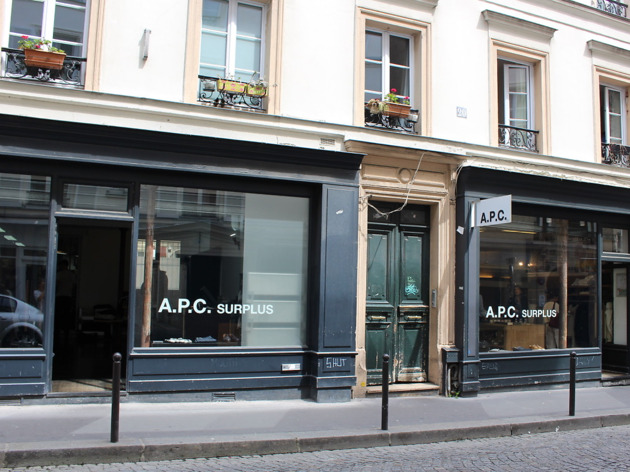 Another branch can be found at 138 bd St Germain, 6th. 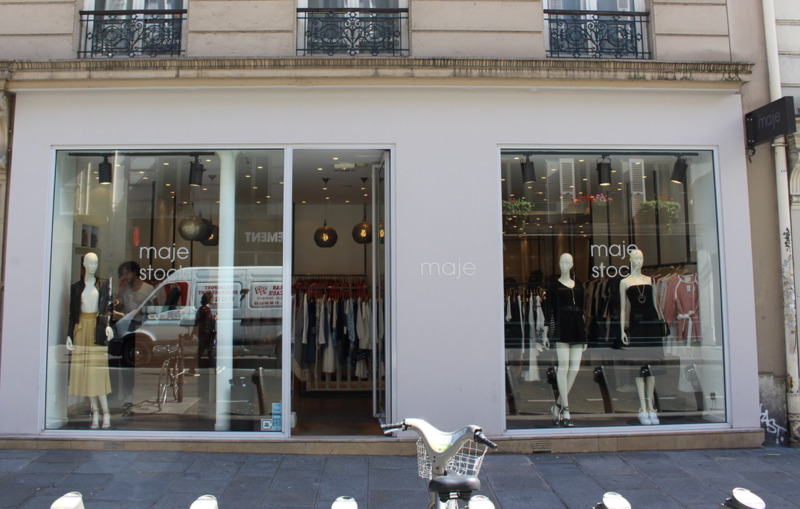 All the charm of a typical Marais boutique, but without the eye-popping prices. L’Habilleur has enjoyed a roaring trade for more than ten years, stocking pieces for men and women from labels such as Plein Sud, Issey Miyake, Paul & Joe and more at a whopping 40-60 per cent off. Mon Dieu! 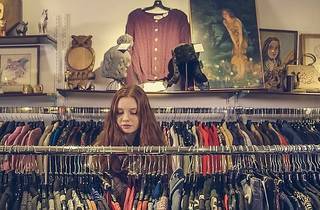 This is also the place to pick up customized jeans and neo-Romantic suits by designer Andrew Mackenzie, and cosy big-knit wool jumpers by Richmond. 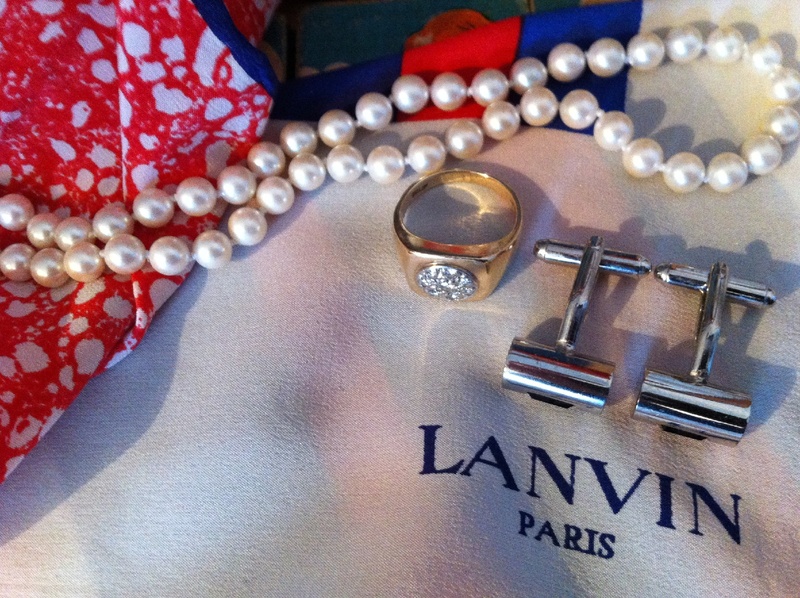 La Vallée Village, near Disneyland Paris, is discount shopping heaven. 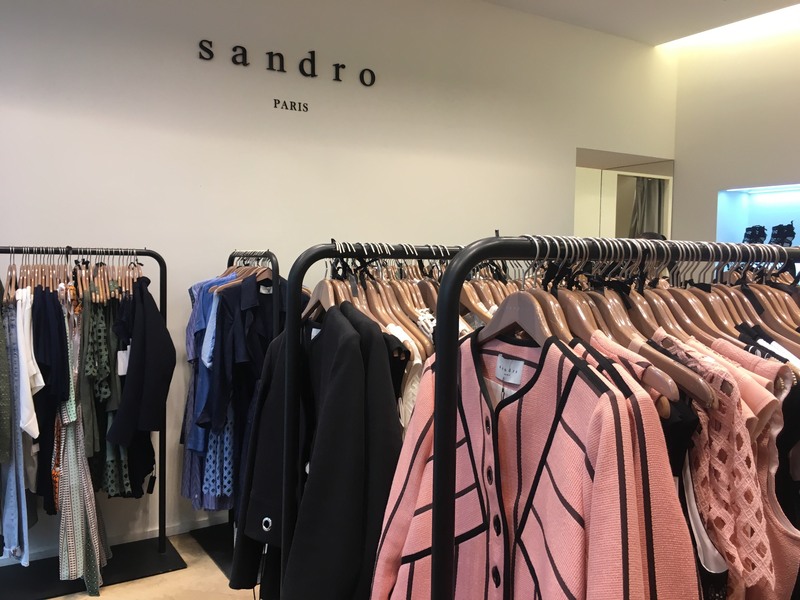 Its 90 stores (which admittedly look like an extension of Disney) feature all the usual suspects - Armani, Diesel, Gérard Darel, Guess, Kenzo, Longchamp, Paul Smith, Tod's - as well as Zadig & Voltaire, Moncler and Marni. You should expect between 20% and 70% off usual retail price. 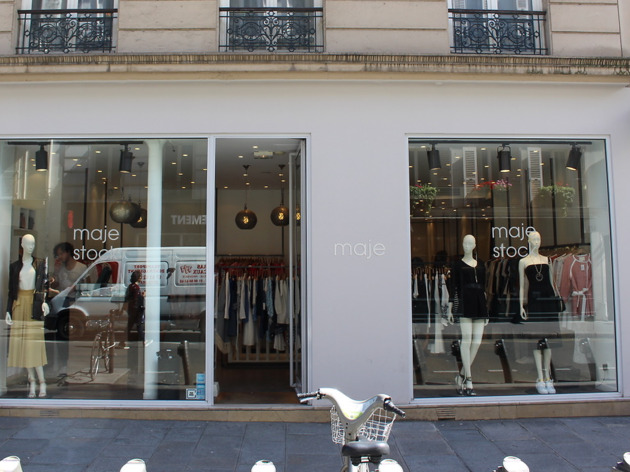 French designer Maje has several outlet and stock shops around Paris, three to be precise. In these you'll find a range of items from previous collections with up to 50% off the original prices. Covetable pieces include dresses, coats and accessories. 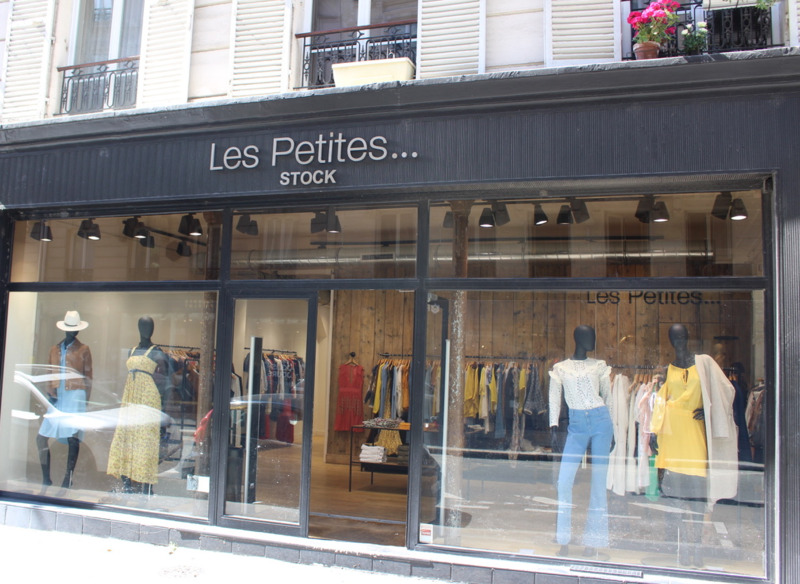 The largest is found in Montmartre on rue des Martyrs where the stock sizes are usually plentiful and new collections added regularly. Monday to Saturday, 11am-8pm. Closed Sunday. Monday to Saturday, 10.30am-7.30pm. Closed Sunday. 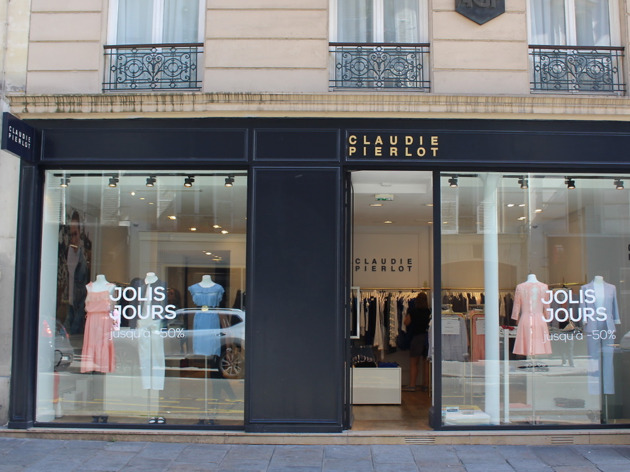 If you're looking to nail laidback French chic, Claudie Pierlot is the epitome. A pair of tailored but casual jeans paired with some heels and one of their printed jackets will have you suited for the summer. 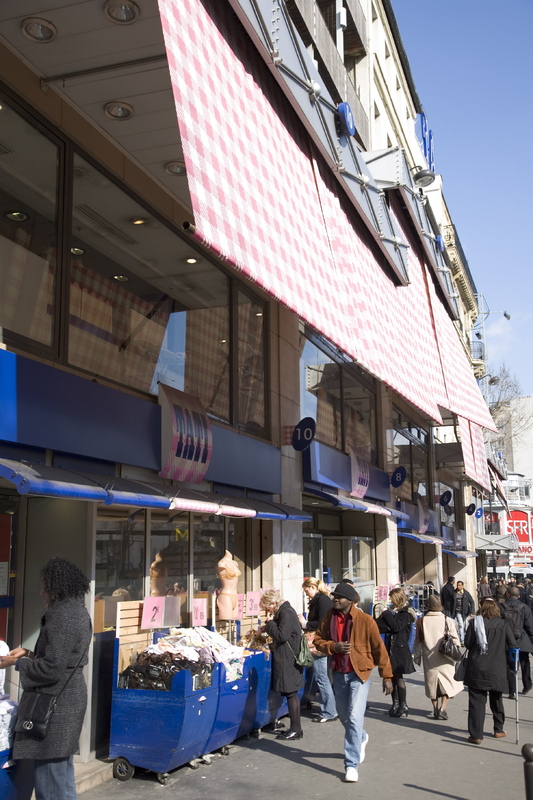 Shop these staples at the outlet store on rue de Marseille. They've got bargains to be had at up to 50% off, all year round. 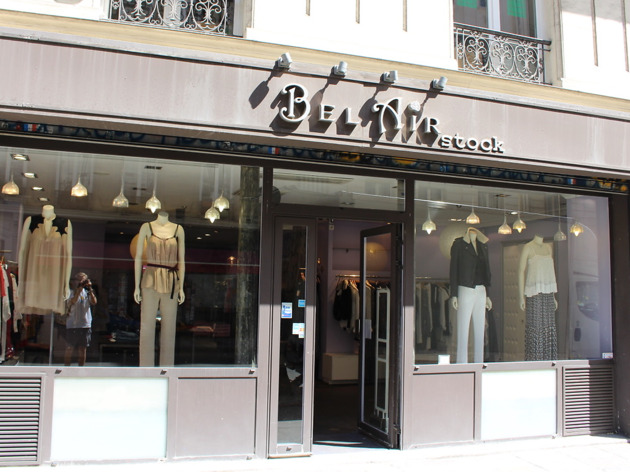 Around the corner from rue Marseille, not far from Maje, Les Petits and Claudie Pierlot stock shops, is Bel Air on rue Beaupaire. Created in the 1980s in Paris, Bel Air is a brand that specialises in trend-led pieces for the modern femme. Here you'll find a range of must-have pieces from the French designer, most with discounts between 40-50% off. 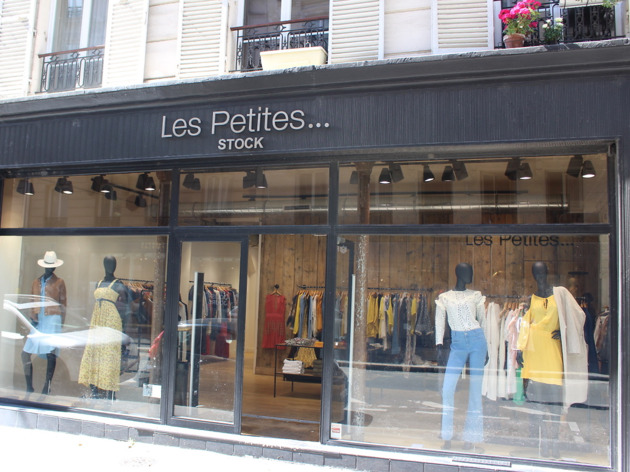 A modern and urban spirit lies behind the clothes at Les Petites. If you're looking for free-flowing fabrics and a bohemian vibe, you'll find it here. 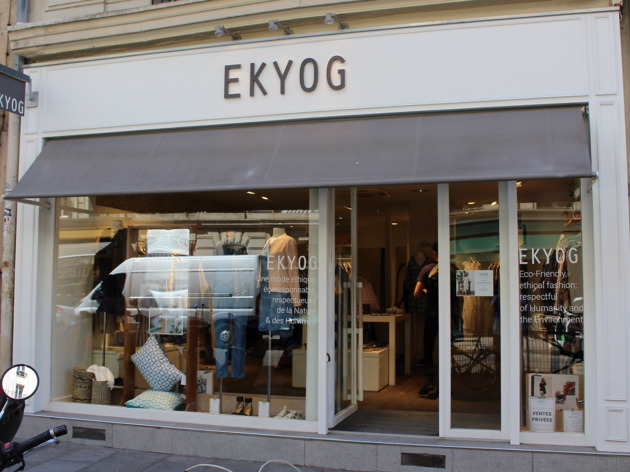 This ethical brand offers casual but trend-led clothes, made from organic linens and cottons. 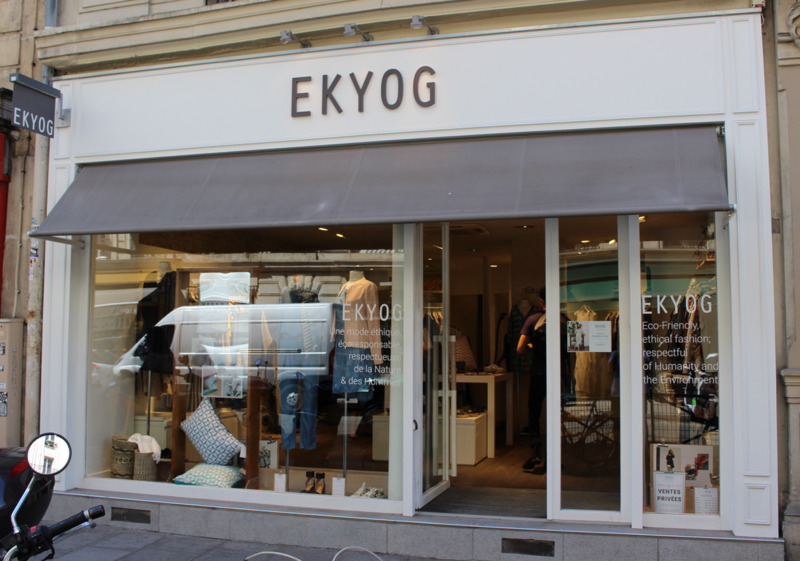 Colourless jackets, printed kaftans and loose pyjama trousers - Ekyog is original, comfortable and stylish. There's also a home section featuring chic déco wares. Monday, 2pm-7pm; Tues-Weds, 10.30am-2pm & 3pm-7.30pm; Thurs-Sat 10.30am-7.30pm. Sunday, closed. Punchy colours and bold stripes, Sonia Rykiel is not for shrinking violets. 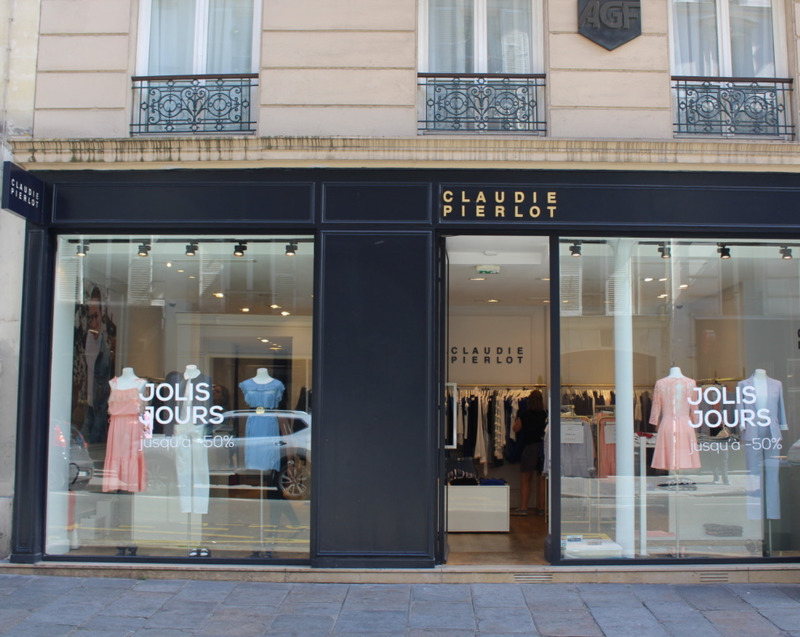 Her main boutique is found on boulevard Saint-Germain but there's also an outlet of designer wares found on rue d'Alésia in 14th. 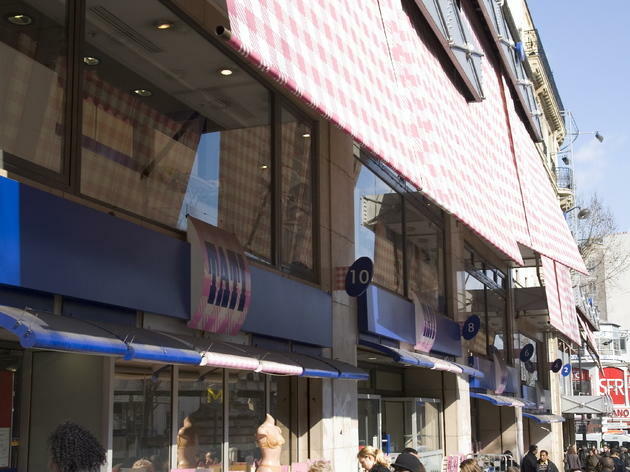 Spread over two shops, this massive Paris stock shop is ideal for finding some eclectic Rykiel pieces to add to your collection. Monday, 12am-7pm, Tues-Sat, 10.30am-7.30pm. Sunday closed. A.P.C's cool basics have a ring of Jane Birkin about them. 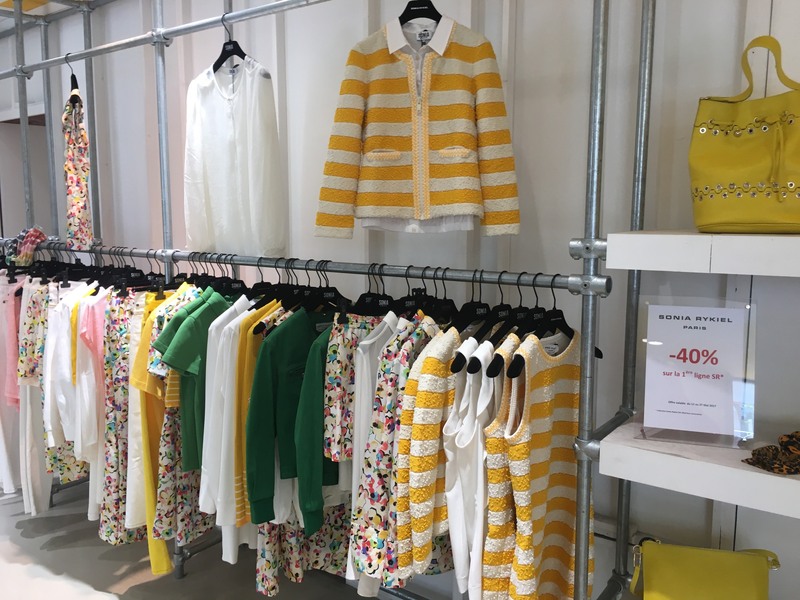 Championed by modern style icons like Alexa Chung this less is more approach has made them a brand that delivers wardrobe staples, season after season. 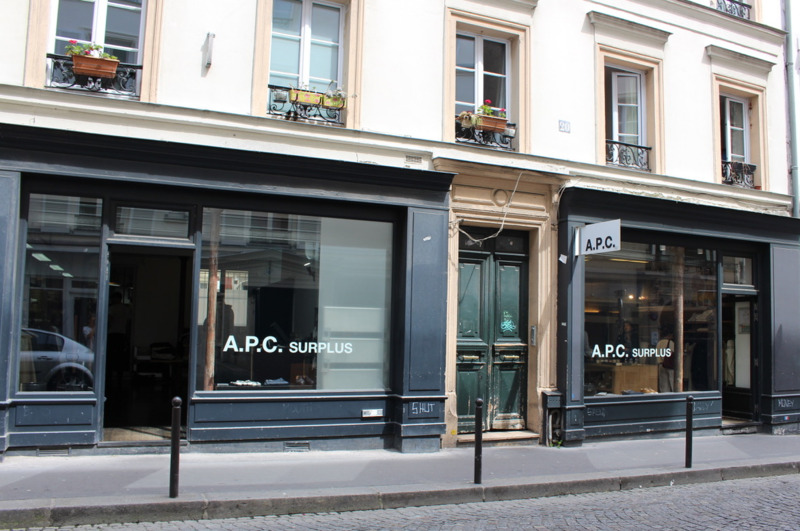 With women's fashion in one store, men's next door, A.P.C surplus is a treasure trove of minimalist essentials and signature leather goods. In the heart of the Marais lives Sandro outlet. 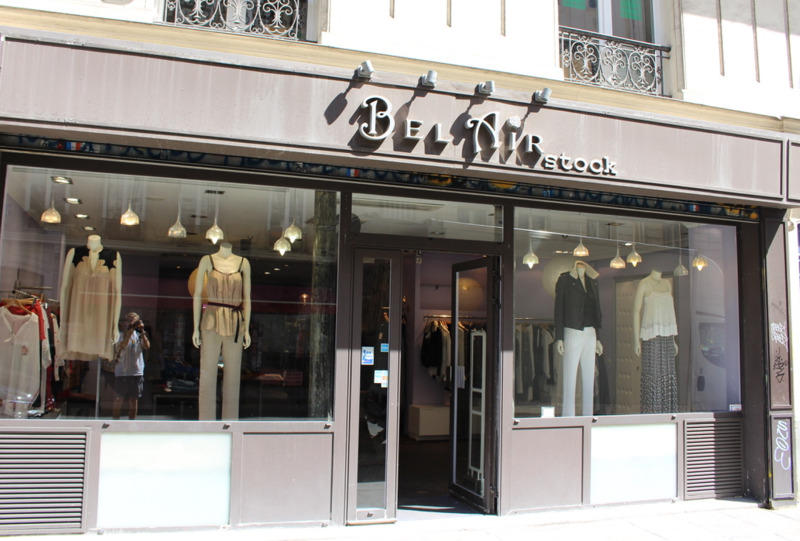 This French designer is a favourite with expats and tourists as well as Parisians. Signature staples include skinny jeans, heeled boots, silk camisoles and tailored jackets. Ultimate Parisian chic with up to 40% off.